A&E Networks still remains quiet as it receives hundreds of thousands of petitions against its decision to suspend Duck Dynasty’s Phil Robertson. Since its Wednesday decision to “indefinitely” suspend Phil Robertson, A&E has yet to publicly clarify what the future of Duck Dynasty reality show might be, what they’ll do with their block of reruns, or even what it really means to be “indefinitely” suspended. The network’s lack of communication has done nothing to stem the tide of detractors who strongly disagree with its decision to put Phil Robertson on the bench over anti-gay remarks quoted in GQ magazine. A Change.org petition demanding that Phil Robertson be reinstated and the network issue an apology was steadily climbing toward 100,000 signatures Friday. 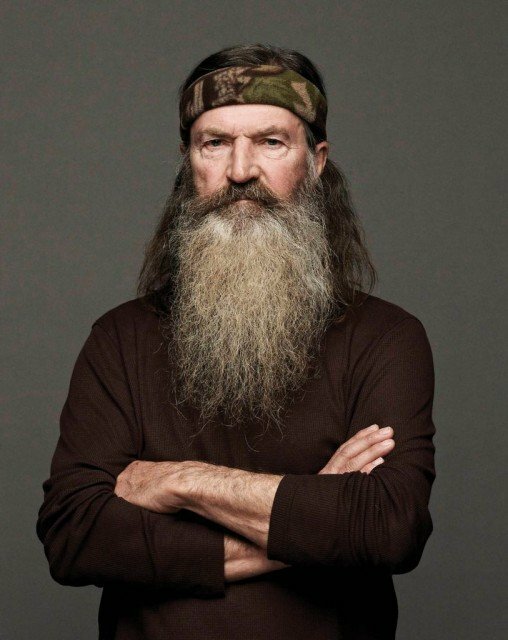 Those who’ve signed the IStandWithPhil.com petition are asking for their “views (to) be treated with equality and respect in America’s rich rainbow of diversity,” and for the “network to immediately reinstate Mr. Robertson to <<Duck Dynasty>>, and to formally apologize to him, his family, and the millions of viewers who tune in every week, stand by him, and share his worldview”. So far, the number of petitioners doesn’t compare with the millions that Duck Dynasty has drawn to A&E – its fourth-season premiere in August set a record with 11.8 million watching, and the season finale in October brought in 8.4 million – but those signatures would give any network exec flop sweat. Especially when the rest of the Robertson family has stoked the fire with a statement that suggests the future of the show might be in jeopardy. “We have had a successful working relationship with A&E but, as a family, we cannot imagine the show going forward without our patriarch at the helm,” the Robertson family said in a statement. A person with close ties to A&E noted that the Robertson family is under contract, thereby reducing the chances that the family will show up on another channel anytime soon.